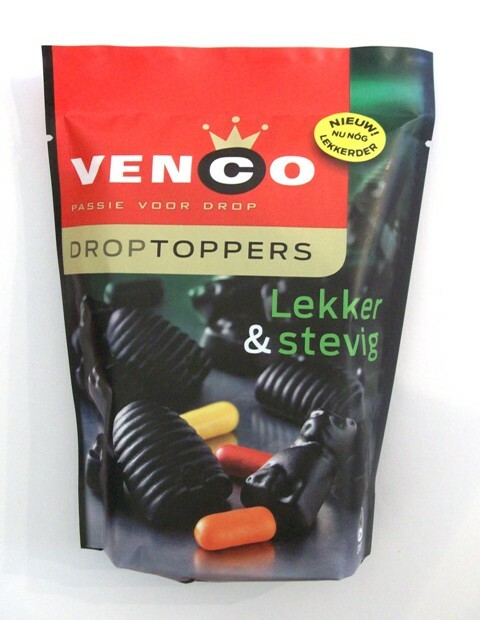 This is a delicious new Droptoppers variety from Venco that consists of a delightful variety of delicious and strongly flavored classic Dutch licorice drop. Imported from Holland. 233g or 8.2 per package.